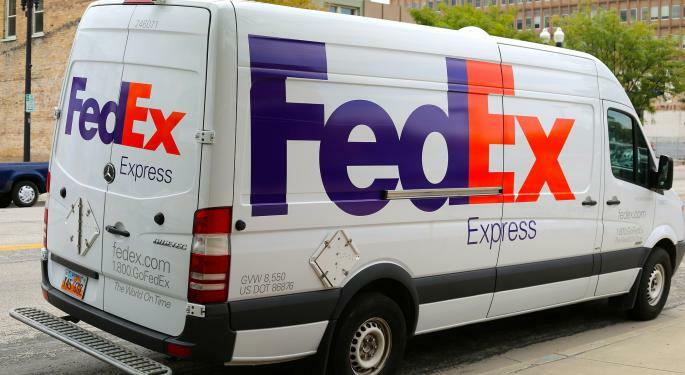 The C-suite of FedEx Corp. (NYSE: FDX) has counseled patience in the wake of a second straight disappointing quarter. The short-term mindset of Wall Street may have difficulty accepting that. The Memphis-based giant reported fiscal 2019 third-quarter results that came in below what were already muted expectations after a weak fiscal second-quarter print and downward revisions to its outlook for fiscal 2020, which starts June 1. Third-quarter revenue was $17 billion, about $700 million below analysts' consensus. Adjusted operating margins were flat year over-year at 5.8 percent, while adjusted operating income rose $20 million to $984 million. Adjusted earnings per-share of $3.03 missed consensus estimates by 7 cents per share. In after-hours trading, FedEx shares were taking a hit, down nearly $10 a share at 7 p.m. on Wednesday. Top and bottom line pressures abounded in the quarter. Slowing global economies and uncertainty over a U.S.-China trade deal and Britain's will-she-or-won't-she exit from the European union took a toll on global revenue growth at the company's "FedEx Express" air and international unit. The company will end fiscal 2019 with a $4.5 billion year-over-year revenue increase, about $1.5 billion less than originally planned, according to Chairman and CEO Frederick W. Smith. 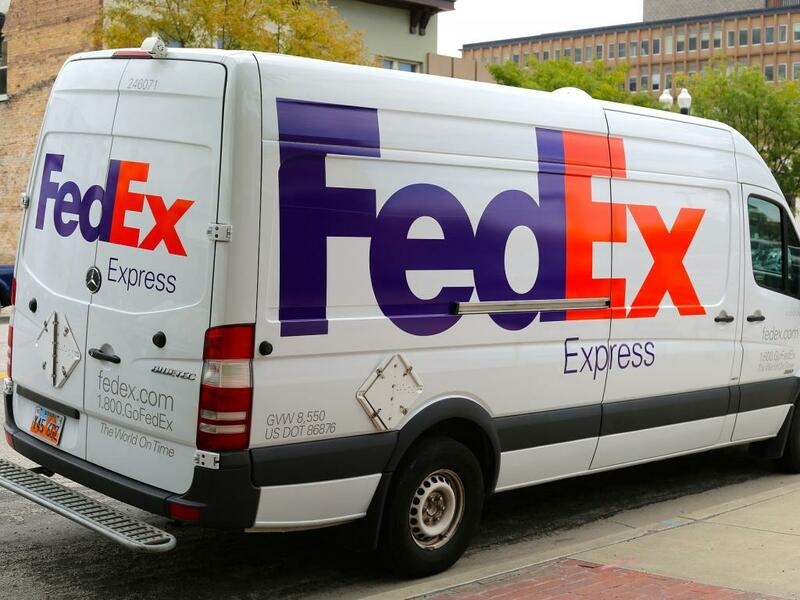 In the U.S., FedEx is seeing residential deliveries gaining in mix against its business-to-business segment, long its bread and butter. This has meant lower shipment weights, which have dented yields, and shorter lengths-of-haul as more businesses fulfill locally than ever before. The company was also plagued with higher purchased transportation costs at its "FedEx Ground" unit, which handles e-commerce traffic. 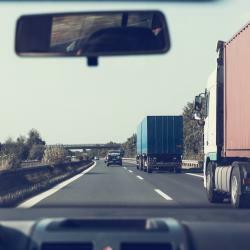 Amit Mehrotra, analyst at Deutsche Bank, estimated that the unit's purchased transport costs in the quarter rose 8 percent year-over-year, while yields rose just 3 percent. The differential was the key factor in the unit's earnings before interest and taxes (EBIT) coming in about $123 million below consensus estimates, Mehrotra said. Yields at FedEx Express continued to be affected by a disproportionate amount of lower-yielding freight forwarder traffic from TNT Express, which FedEx acquired in 2016 for $4.5 billion. The integration of the two firms has proved challenging and costly, with the price tag exceeding $1.5 billion through fiscal 2021 and with additional costs possible. At the same time, the company said it is making progress on its long-term goal of a single air-road network borne out of the combination. By June, FedEx Express will cut one day of transit time on 40 percent of all intra-European traffic lanes, company executives said today. FedEx Freight, the company's less-than-truckload (LTL) unit, was the one part of the business that came through the quarter unscathed. The unit had a solid quarter and its outlook appears bright, executives said. The unit was lauded for balancing volume growth with strong yield management. FedEx said it will take steps to reduce costs where it can, and will accelerate those initiatives should U.S. economic conditions take a southward turn and global economies continue to deteriorate, scenarios the company said were unlikely. Still, FedEx said it will continue to invest in a significant overhaul of its freighter fleet, as well as upgrades to its main U.S. hubs in Memphis and Indianapolis. Such investments will keep costs elevated and could depress the bottom line over the short-run, executives said. Alan B. Graf, Jr., FedEx's CFO, said success in FY 2020 will hinge in on small part on resolution of the U.S.-China trade dispute as well as Brexit. Graf focused on the need for European economies to improve. "We need a little bit better economic landscape in Europe," he said.